Mike has been climbing for 25 years and skiing for 35 years. 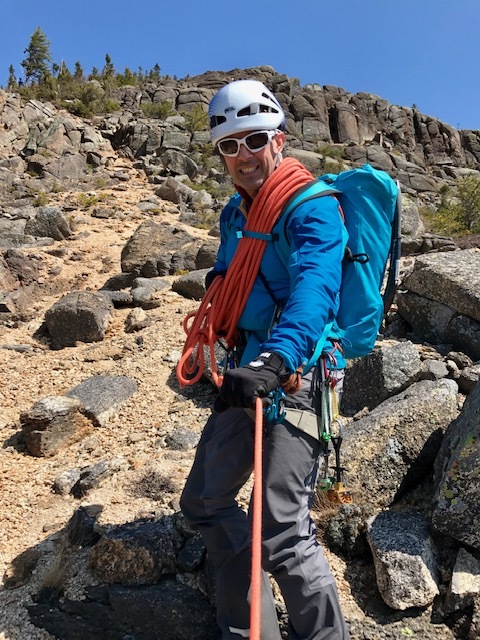 He loves the Alpine disciplines of mixed climbing and ski mountaineering and sharing all the fun and beauty that the mountains have to offer with others. He is an AMGA Guides Apprentice, a Licensed NY State Rock and Ice Climbing Guide, an R.N. and has completed his Wilderness First Responder as well as an AIARE Level 2 Avalanche course.